Approaching the year's halfway point something pretty reminiscent of former May sales charts happened. The top spot, went to an X-book. 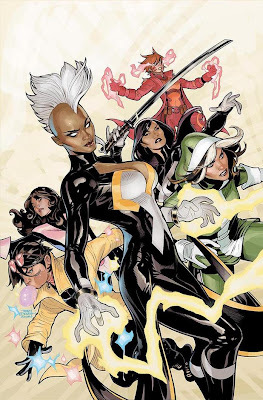 Considering it was X-Men #1 - a title starring the franchise's most marketable lady folk, you could say it was pretty pretty. Could. Although nearest rivals DC did narrow the unit share gap, Marvel still took top honours, with a distance of 6.6%. MY THOUGHTS: It is great to see Age of Ultron holding firm on the list. Unlike other 'events' of its impact and size, Age of Ultron has been pretty much a self-contained story, despite it's potential. Delivering event sized blows to the gut but not to the wallet - just like the old days! Full May 2013 stats after the jump. The graphic novel stopping my beloved Saga from getting the top spot of the trade paperback chart this month? 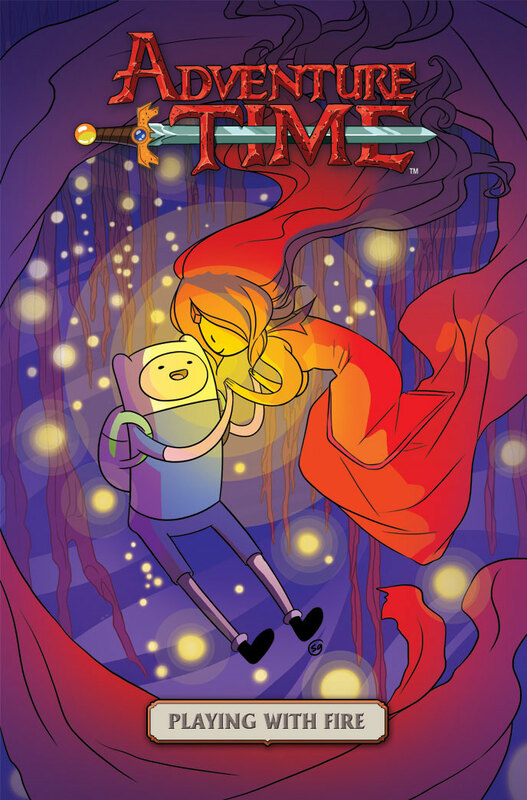 Adventure Time: Playing Fire from BOOM! Studios. Yup, BOOM! Studios took out #1. While this original graphic novel is the first volume of it's kind, this marks even more of a sign of the diversifying tastes of comic readers. Heck, capes don't even register on the list until spot #4! Great stuff BOOM! That X-May tradition I was talking about before? Check this out. In 2003 a new Greg Rucka written Wolverine #1 stole first spot. 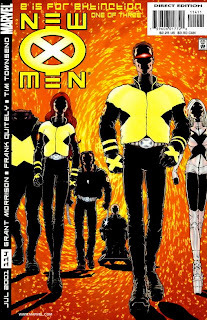 In 2004 The Avengers movie director Joss Whedon helped unleash Astonishing X-Men #1 upon the world, and back in 2001, Grant Morrison wrote the beginnings of his equally fantastic run on the x-franchise in New X-Men #114. 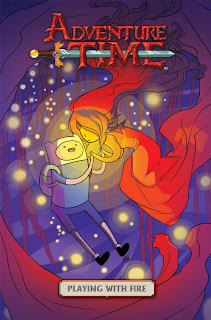 Adventure Time seems to be one of those things that kids and adults love equally. I haven't gotten as wrapped up in the cartoon yet, but that's because I take advantage of the kids' zombiefied faces whilst it is on to get other things done. Like make food. Although I am now told my "cool mom cred" (I kid you not, that is what they said) is in danger because I don't know the plotlines. So I guess I have to catch up. Speaking of catching up, Comixology is having a sale on all the new Harbinger comics, excluding Harbinger Wars. You can get them all for 99cents an issue. The whole thing came in under ten bucks. I know it's digital, but heck. Careful Random - those 99cent sales can become addictive! But you are right, they sure do make it great for catching up on decent titles. As for kid cred mine gets challenged each time one asks me to draw anyone from Ben10 to Angry Birds. The blank look I give never floats. Luckily Batman always works. Maybe some sushiwoks should be onhand too?